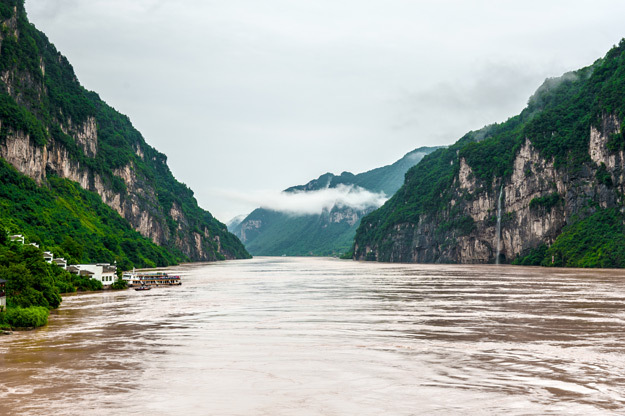 The Yangtze holds the title of Asia’s longest river (and the third longest in the world) at 3,915 miles. It flows right across China from its source amongst the cloud piercing mountains of the Tibetan plateau to its mouth in the East China Sea, near to Shanghai. The Yangtze has a momentous place in China’s history and culture, providing some of the country’s most fertile land as well as some of its most artistically inspiring scenery. Following the Yangtze from source to mouth would provide a fascinating chronicle of China’s past, but who has the time for that? Instead, try the section of the river surrounding the Three Gorges, which are an astonishing sight! Another sight, more controversially, is the impressive Three Gorges Dam. The river banks here are lined with historical treasures from ancient temples to major cities, such as the old dynastic capital Nanjing. It goes without saying that the best way to see a river is to travel along it and a Yangtze River Cruise is a popular pastime in China. 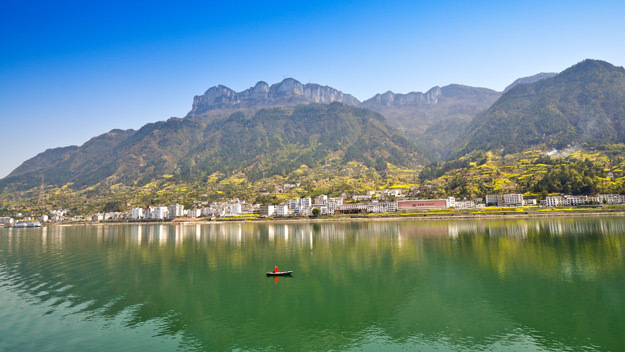 Pass through the Three Gorges, take fascinating shore excursions and enjoy the passing scenery by opting for a 3 or 4 day cruises between Chongqing and Yichang. The Mekong winds its way through China, Burma, Thailand, Cambodia and Vietnam, chalking up 2,703 miles. Where the river runs, the land is incredibly verdant shaping one of the richest areas of biodiversity on the planet. Thousands of species call its shores and waters home. Long an essential trade route – firstly between riverside communities and then between nations – the Mekong passes through, or close to, some of the region’s most important cities, including Vientiane, Phnom Penh and Saigon. 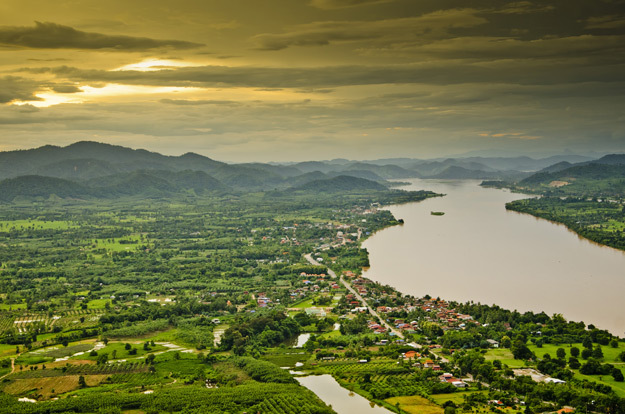 The Mekong passes through a patchwork of landscapes on its winding journey. Whilst several cities are set on the river banks the scenery as a whole is gorgeously rural: for miles there is nothing but farmland, floating villages and fishermen. Two of the most beautiful spots on the river are Laos’ Si Phan Don, where the river swirls around a series of tranquil islands, and the peaceful waterways of the luscious Mekong Delta in the south of Vietnam. Whether you want a day floating amongst the paddy fields and water buffalos of the delta near Saigon, or to embark on a voyage between the glorious temples of Angkor and the floating markets of the delta region, there is no better place to catch a glimpse of authentic rural life in Southeast Asia than along the banks of the Mekong. 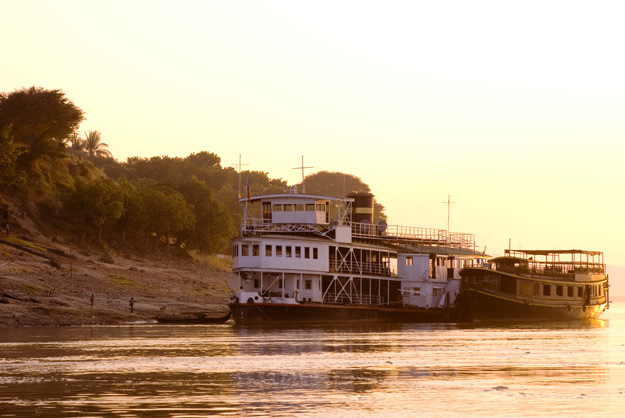 You can experience a 7 night luxury Mekong River Cruise on our fully inclusive Mekong Odyssey tour, cruising from Saigon in Vietnam to Siem Reap in Cambodia. Editors Note: This blog was originally published in Feburary 2016 and has been reviewed and updated. 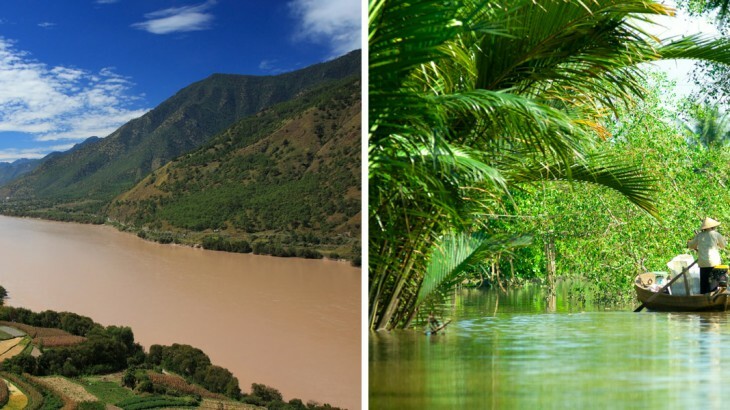 If you are after scenery on an epic scale take to the waters of the mighty Yangtze, whilst for lazy days and views of rural idyll, the Mekong has all you can ask for. Book an escorted tour to China or Vietnam with the UK’s leading Asia experts, Wendy Wu Tours, or let us build you a tailormade itinerary, which includes a relaxing river cruise! Tour or tailormade, we can guarantee you an unforgettable trip. We also have tours to India, Japan and South America. China, Vietnam cruise, sightseeing, top things to see. permalink.